The FBI in Salt Lake City is dealing with some pesky intruders. A variety of birds are nesting in the FBI’s parking garage – a problem that has plagued the bureau since moving into their new International Center Facility in 2012, FOX 13 reports. “Because of the vast amount of waste left by the birds it was determined to hire an expert to mitigate the bird problem in the most humane and legal matter,” the FBI states. Trouble is, some of those birds may be the protected swallow. The FBI installed netting in the garage, which keeps new birds out but traps the existing birds in, according to Fox 13. 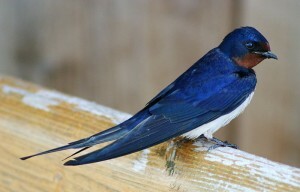 The FBI said it is sensitive to the swallow’s protected status. “The company working on this issue has explicit rules about the treatment of swallows and understands the strict regulations regarding the treatment of swallows,” according to the FBI. Posted: 5/6/14 at 8:52 AM under News Story.